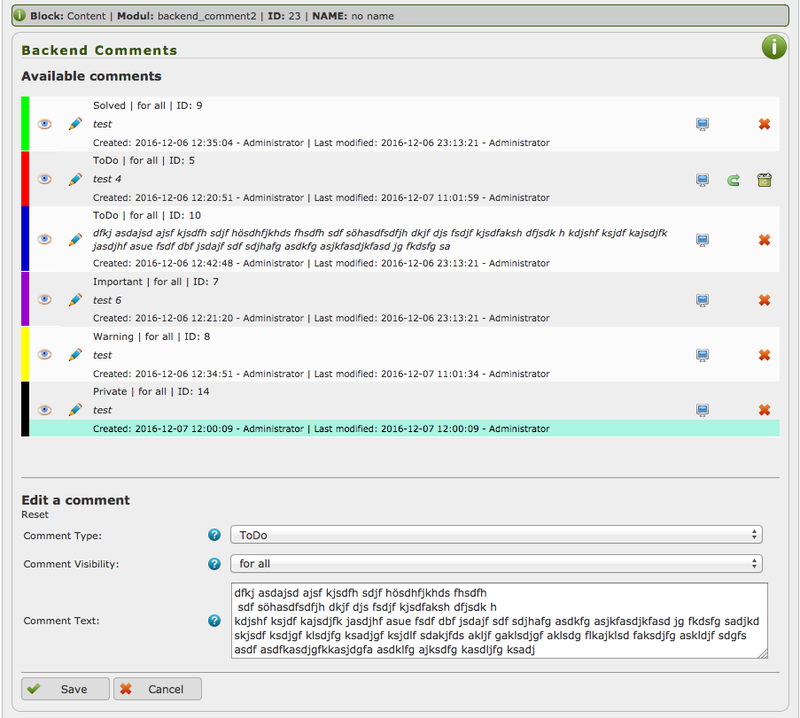 Description The backend_comment module allows maintenance user to enter comments like todo's, warnings, hints and so on in the backend without having any risk that comment appears in frontend. but this list can easily be enhanced in backend template. See included READMEen.tx for more details. Comments can be deleted but always go into trash first, from which they can be recovered. 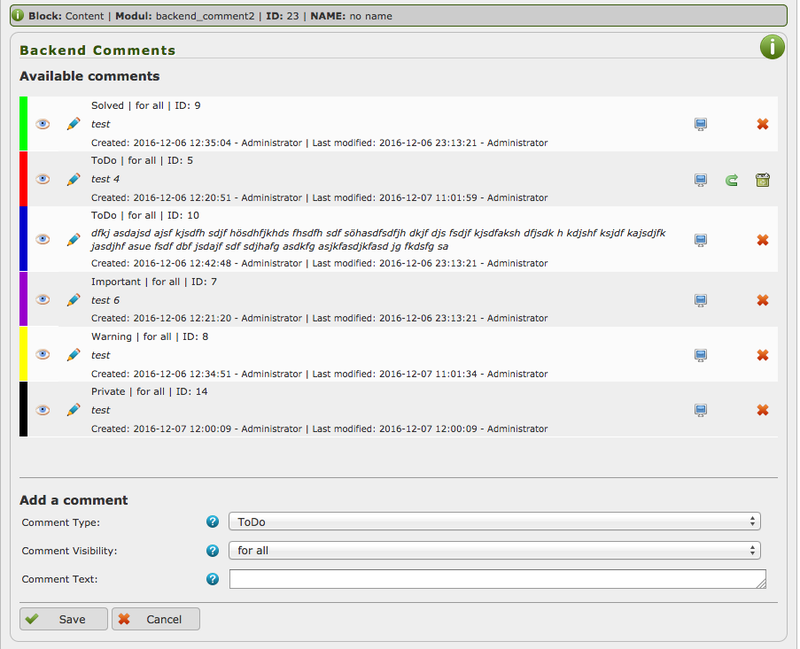 Info The screenshots below shows newest version of backend comment module. All the actions are now done on main screen without needs to leave it: add a new comment, edit an existing comment, delete into trash, final delete, restore from trash and preview. The screenshots also shows an additional entry "Private" with a black marker on the left. This item has been added to show the easiness of adding additional types via entries in backend theme. Please check the README file inside the module for more information.